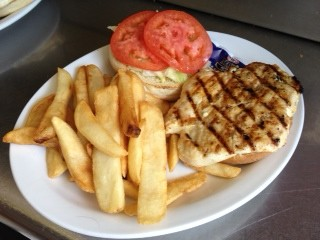 This 8 ounce tender chicken breast is char-broilled and cooked to perfection and served on a bun. Served with lettuce, tomatoes. Served with our delicious steak fries or substitute baked potato Also tossed salad.